Holy cow – it’s April. I can’t even wrap my head around that…so while I’m still adjusting to it being April already, here are the things that I watched, read and otherwise occupied myself with in March! The Kingmaker’s Daughter by Phillipa Gregory – This is the fourth book in the Cousin’s War series and follows the life of Anne Neville, daughter of Richard Neville, Lord of Warwick. He is known in England’s storied history as the kingmaker; he supported his nephew Edward of York and helped him claim the throne of England, only to turn against him when Edward married Elizabeth Woodville instead of the bride chosen for him by Warwick. Warwick would go on to use his two daughters as political pawns while backing Edward’s younger brother George and trying to overthrow Edward’s rule. Anne; Warwick’s youngest daughter, eventually grew tired of her father’s political maneuverings and carved out a life for herself…finally becoming Queen of England…even if it was short-lived. The White Princess by Phillipa Gregory – The fifth book in the Cousin’s War series, this book follows Princess Elizabeth of York as she marries Henry Tudor and the two ally the houses of Tudor and York to try to end the Cousin’s War that has raged across England for years. The two slowly fall in love while trying to battle rumors that Elizabeth’s brother Richard; long believed to have been killed in the Tower of London, is alive and well and coming home to take the throne from Tudor…who many in England still see as a man who stole the throne. The King’s Curse by Phillipa Gregory – The sixth and final book in the Cousin’s War series…hopefully I’ll get this one finished in April! How to Be Single by Liz Tucillo – The book that the recent movie was based on; this book was an impulse purchase in Target since I enjoyed the movie so much! I’m hoping the book is just as good, if not better; especially since I tend to think the book is (almost) always better than the movie! Scandal – Yet another politically centered drama that I’ve gotten my Mom hooked on; she claims she gets the Oval Office confused from one show to the other…ha-ha! Scandal seems like since it has come back on it has been a little bit all over the place, but things are starting to piece back together. As frustrating as I found the relationship between Fitz and Olivia, I have to say – I miss it now that it’s gone! And the way the election on Scandal mirrors real life is almost scary – it’s not even a thinly veiled attempt to mock certain candidates. Ha-ha! 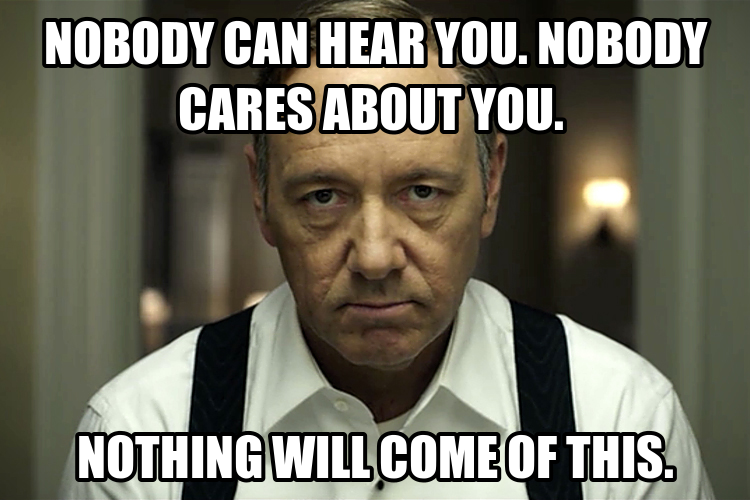 I wonder if the winner on Scandal will “predict” the winner in the real world? 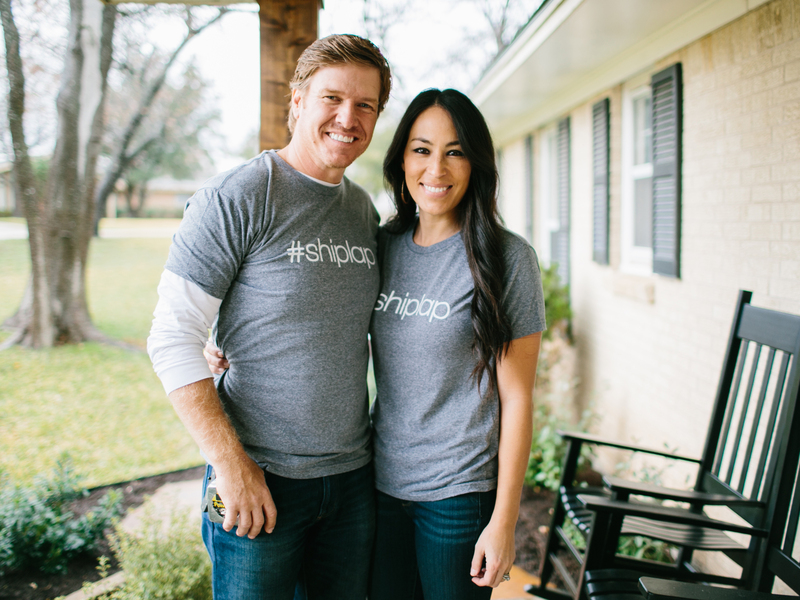 Fixer Upper – Such an addictive show! The season three finale aired on March 29th and I must admit, I’m not sure what I’ll do without my weekly Chip and Jo fix! I’ve gotten so involved in watching this show over the past few months and I love watching how each home is transformed into something completely different. I also just love the camaraderie and sweetness between Chip, JoAnna and their sweet little kiddos. I’ll miss watching this and be waiting for season four! 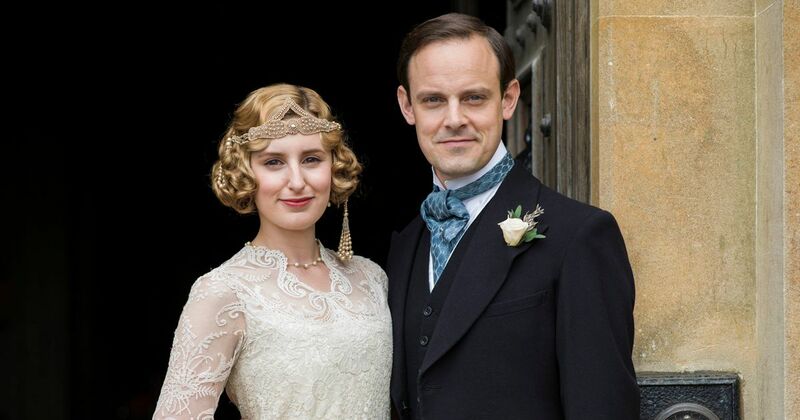 Downton Abbey – A fond farewell to the antics of the upstairs and downstairs adventures of the folks at the abbey; I was so concerned after the second to last episode but the finale pulled it through for me. 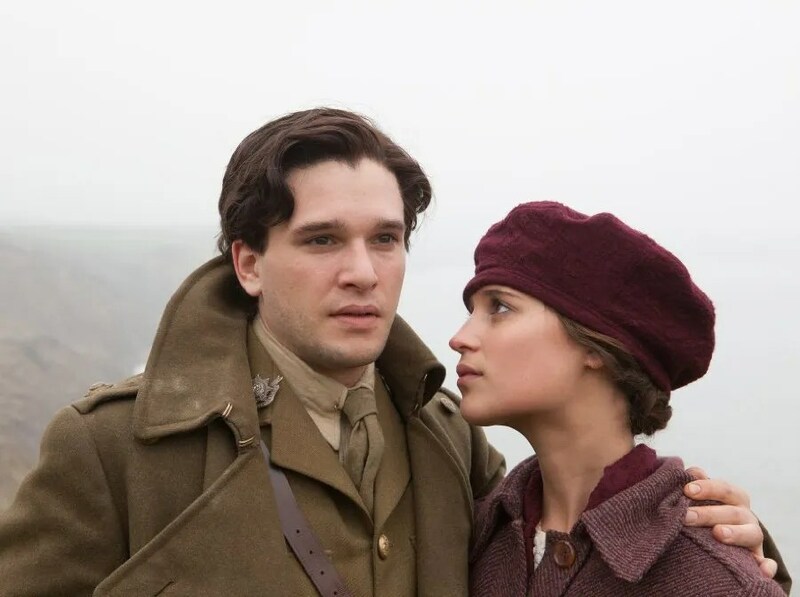 My biggest concern was that Edith would never get her happy ending…but thankfully Mary pulled the stick out (yes – I did just say that) and Edith and Bertie were reunited in happiness and love! And that was really all it took for me to be pleased with the finale…although the arrival of Baby Bates and Thomas getting the nod as butler also made me smile… And now, I’ll need some other period drama to entertain me! 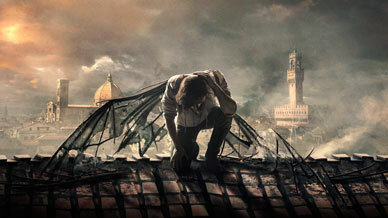 DaVinci’s Demons – I finally, finally was able to make my way through the third and final season of DaVinci’s Demons and I thought it ended on such a perfect note for this series. I so enjoyed watching the series and I just hate that all Starz was willing to give the show was three seasons… I feel like DaVinci had quite a few more stories to be told. Alas, what we were given was good indeed! 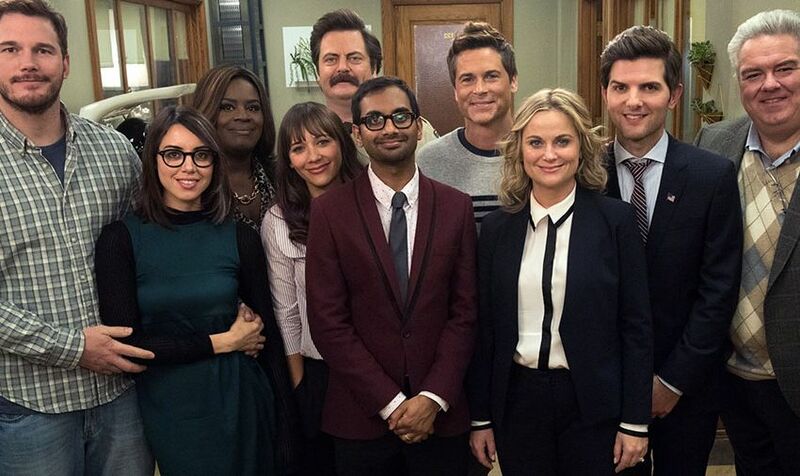 Parks and Recreation – The final season (seven) was finally available on Netflix recently and since it was only 13 episodes, I managed to speed through it in no time flat. I love the way the show wrapped up everyone’s story so neatly and of course, still kept things hilarious. The Martian – This movie stressed me out, ha-ha! No…but honestly, it was a really good movie…my crazy stress issues aside. When one of the astronauts on a mission to Mars is left for dead after a storm hits the surface of the planet, he must strive to survive the alien planet and hope that he will one day return home to Earth. And I definitely cheered along with the character when he achieved milestones (he grew potatoes!) and cringed for him when things went badly (those taters died!) but it also made me very nervous for him…ha-ha. My Big Fat Greek Wedding II – I honestly can tell you…I remember watching the first movie, but not well enough that this movie seemed exactly the same (which is apparently what critics are saying…). I thoroughly enjoyed this movie and loved watching the crazy family antics play out as Toula tried to help plan her parent’s wedding (gasp – they aren’t actually married!) while keeping the romance in her marriage alive and hold on…but not too tightly…to her daughter, Paris. All the characters are so vivid and wonderful and the story the movie tells is heart-warming, and that is just like the first! Batman V Superman: Dawn of Justice – Oh man…what a dark film! I liked it a lot more than I thought I would, even though it had a much darker tone than I’d thought it might. I guess Batman and Superman having an epic smackdown doesn’t exactly convey warm and sunshine-y thoughts, but oh well. I love Henry Cavill as Superman and Ben Affleck was surprisingly good as Batman (although I’ll always be partial to Christian Bale) and the story very nicely sets up the Justice League. I absolutely loved Wonder Woman and thought she was one of the highlights of the film! The critics are bashing this one too…but considering it’s already passed $500 million…I’d say there’s not much to worry about. I literally spent the past month toggling between these two stations on my radio. I love listening to K-Love because it’s really has such an encouraging and uplifting mood on my days but I’ve got to listen to 106.7 the Fan to keep up with Nationals Spring Training and all the other information being shared about baseball. Plus – I’ve kind of been paying attention the the Washington Capitals since they’re apparently dominating this season. I know nothing about hockey…but I’d love to go to a game! Fried Green Tomatoes – Oh my word! Y’all, I don’t like tomatoes at all but a dear friend had some fried green tomatoes when we were out eating recently and I decided to try one. Sold! They are delicious! We were recently looking at a restaurant that serves some of the “best burgers” in DC and one of their burgers was topped with a fried green tomato…and just that detail was enough to make me want one! Salad – I don’t even know who I am anymore…but salad is suddenly one of my favorite things! I have spent the past thirty-something years referring to salad as “rabbit food” and not eating a bite, but some switch must have flipped in my head this past month because now I am all about eating as much rabbit food as I can! I don’t know what caused the sudden change in my taste buds – but enjoying salad sure does make trying to eat healthier a LOT easier. BASEBALL SEASON! – Surely this was a given, right? I’ve talked about it for pretty much the entirety of the off-season, I’ve had a countdown going on my phone since early October (no post season for the Nats last year…) and finally, the wait is over! Opening Day is April, 4 2016 and I’ll be planting myself in a seat at Nationals Park on Saturday, April 9th for the first of what I hope will be many games attended in the District this season! I cant’ wait! Jersey Boys – We’re going to the theater…the National Theatre, to be more specific! My Mom has gone on and on about wanting to see Jersey Boys and when she saw that it was coming to the National Theatre in DC in mid-April, she snapped up some tickets. So, we’ll be headed to DC for a Friday night showing of this Tony and Grammy award winning Broadway show! I can’t wait! Game of Thrones Season Six – There are really only two things I can say about this season…or that I hope for this season…however you’d like to phrase it. I still do not buy that Jon Snow is dead and I am ready to be proven right. Even though every cast member from here to the moon keep claiming he’s dead…I’m not buying it. I also hope this season is better than the last – because season five was (in my humble opinion) the most disappointing season so far. I guess I’ll find out in late April! 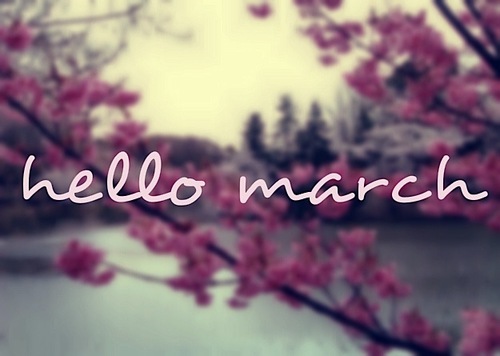 Like I said – this month seems like it absolutely flew by! Can you believe a third of 2016 has already come and gone?? I don’t know about you, but I feel like the rest of 2016 has lots of good in store…especially since the next six months of 2016 = baseball season! One track mind much?